Welcome to a web site inspired by the I Hate Daffodils movement here in the UK. I Love Daffodils is a site dedicated to the wonderful Daffodil. A flower so pretty and versatile that I think the more we see, the better! I look at daffodils of all kinds and smile. I appreciate the arguments for woodlands and the countryside, but think roundabouts and verges are the perfect places to cheer people up on what can be a gloomy commute to work. Claire Kenyon, Brighton UK - "I like daffodils because they herald the beginning of Spring and it's going to start getting warmer!" Aimée Thacker, Brighton UK - "I like daffodils because they are a like little balls of sunshine!" Terry Lynch, New Jersey, USA - "I LOVE Daffodils! I love daffodils because they bring such joy to our countryside and herald spring when other flowers become dessert to the local deer and rabbits. They have such power through their energy field that the big powerful bucks and deer turn away! The only flower in our area that can do that! Leaving sunlight patches of yellow scattered throughout...WOW!!!!" Kim Bradley, UK - "When I see the Golden Heads of Daffodils poking up through the ground I immediately get a lift from it. I feel a Spring in my step, I feel that the warmth of spring sun is only a footstep away. Even the miniature daffs give me a smile as their tiny flower heads sneak up only just a few inches high. I feel like my energy is coming out of hibernation and time for wonderful new things to excite me this year!" Show your support for the humble daffodil that gives joy to so many each year without a fail by adding the "I love daffodils!" Logo to your blog, website or spacenode. Simple copy and paste html for the small and medium sized I love Daffodils! badge here. Beautifully read by Jeremy Irons. They're here again! 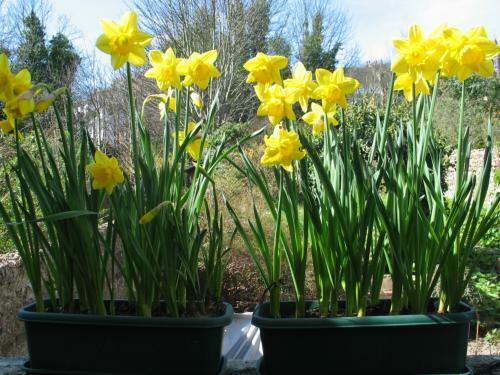 Here are some photographs of this year's daffodils, all bright and new and for the first time. It's 2011, spring, and the daffodils have appeared - we love daffodils! This has been the coldest spring as long as I can remember (and I am VERY old!). March 3rd - And here's the first daffodil we've seen this year. Very mild winter with crazy storms but only a single night of frost so far on the South Coast UK. Last year this time, we had a snow storm and cars were lining the verges, abandoned ... Daffis say it's not going to happen this year? 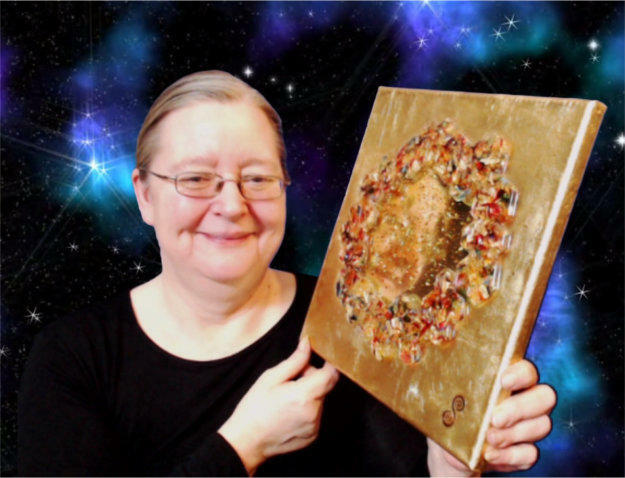 Make & Use A Real Magic Mirror Here's how to make and use a real magic mirror that actually does stuff for you - you are more than your physical body!